Republished with permission of The Pantagraph, Bloomington, Ill.
NORMAL — Not even a searing sun, baking the Illinois State University athletic fields in 90-degree heat, could melt the smiles from the faces of some 4,000 athletes participating this weekend in the Special Olympics Illinois Summer Games. 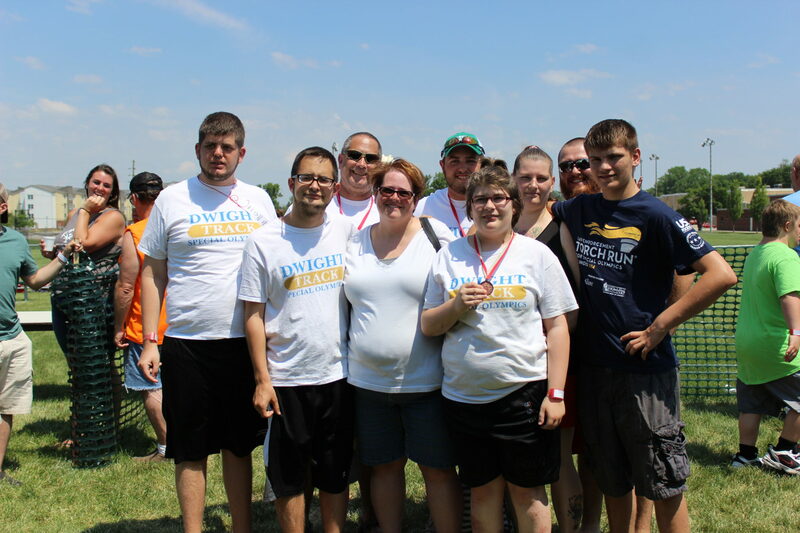 They included the smiles that Paula Krischel of Dwight knew would come to her sons Mason, 21, and Adin, 16, when she and two other residents of the Livingston County community recently banded together to form a Special Olympics team in Dwight. 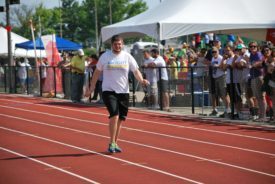 “It makes your heart sing,” said Krischel, amid a throng of athletes, coaches and volunteers at Horton Field House as the Games got underway Friday, June 10. “It’s so amazing to watch all of these kids participate. The parents have their share of fun, as well. 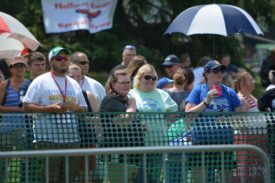 That included Shelley Peck as she watched her daughter Taylor, 13, participate in the 100-meter walk on the ISU track. Peck and April Norton joined with Krischel to form the Dwight team. Norton’s daughter, Angel, 16, is also a Special Olympics athlete. The team has been three years in the making and on its own for just the past year. “I feel like there’s not really a lot out there as far as high schools go for the special needs kids,” Krischel said of starting the team in Dwight. “There’s a need for those who want to participate and want to do sports that the kids in high school can do. That bond extends to the families as well. 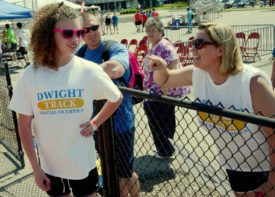 The women have devoted a lot of hours and expense to get the Dwight team established. There’s also meetings with Special Olympics officials and training involved. 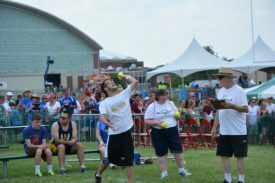 The paperwork, meetings and training all came to fruition when the team joined others from across the state for this weekend’s Summer Games, which continue through Sunday. Peck, too, is determined to see the Dwight program grow.